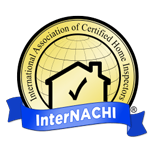 Thank you for visiting the website of Home Town Inspections LLC. We're located in Knoxville, Tennessee and serve the surrounding areas. Please use the form on this page to contact us. You may also call us at 865-323-7050. We look forward to serving you.